John Abraham's Satyameva Jayate was well appreciated by viewers and it enjoyed a great run at the box office. Though the movie clashed with Akshay Kumar's Gold on Independence Day 2018, it minted a good amount of money and that prompted makers to come up its sequel. Though no official confirmation about this sequel is out yet, a report in CineBlitz suggests that John is eyeing for an early release next year. The actor is keen to start working on this project and it may start rolling in July or August. RAW – Romeo Akbar Walter Movie Review: John Abraham and Mouni Roy’s Spy Drama Is a Stirring Saga of Effective Thrills and Surprises. 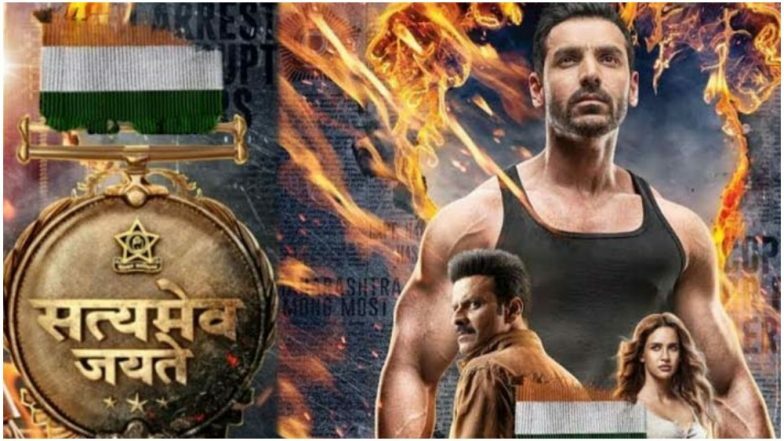 As per a source close to the publication, "John Abraham is eager to kickstart Satyameva Jayate 2 as the prequel got him a lot of love. Milap Zaveri has been pretty busy with his other projects but has been scripting the sequel simultaneously. The screenplay has been nearly locked and after Marjaavaan‘s release, Milap will get engrossed in the pre-production work of Satyameva Jayate 2. " Speaking about its release date, the source mentioned that the makers are in talks for a January 2020 release. "They are aiming for a January 2020 release, especially after seeing the success of Uri: The Surgical Strike. They’ve started making plans and an announcement will follow soon.” It's Akshay Kumar vs John Abraham Again On Independence 2019 As Mission Mangal Clashes With Batla House. When LatestLY had earlier got in touch with Manoj Bajpayee to get a clarification about this sequel, he had revealed that Milap won't make this sequel without him or John on board. Let's hope the director managed to retain its original cast with the addition of others.